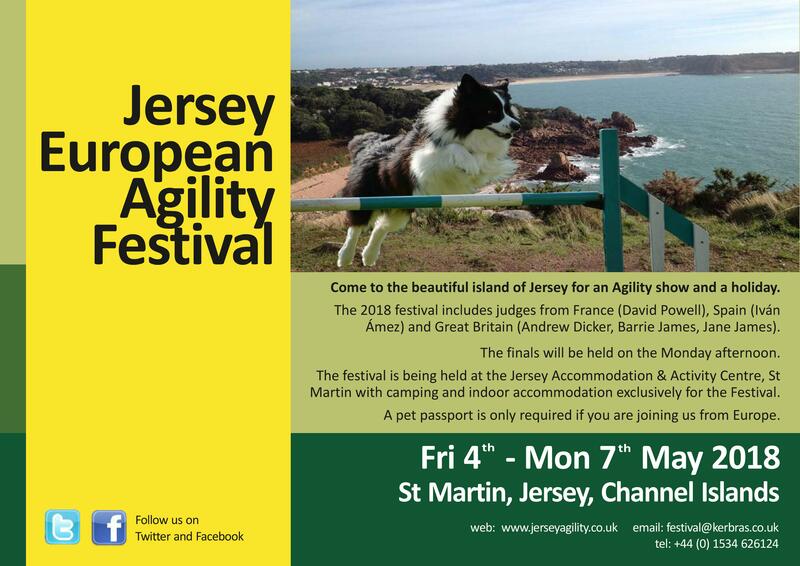 Come to the beautiful island of Jersey for an Agility show and a holiday. The 2019 festival includes judges from England, Wales and Spain. The finals will be held on the Monday afternoon. 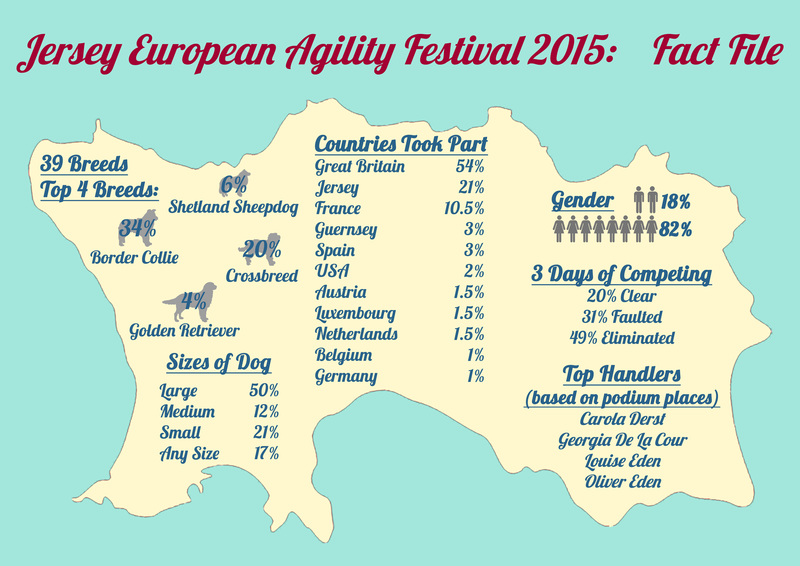 (dogs are allowed in rooms) and camping directly at the show and all facilities are available including evening meals. A pet passport is only required if you are joining us from mainland Europe. Jersey, officially the Bailiwick of Jersey, is a British Crown Dependency off the coast of Normandy, France. As well as the island of Jersey itself, the bailiwick includes two groups of small islands that are no longer permanently inhabited, the Minquiers and Écréhous, and the Pierres de Lecq and other rocks and reefs. The island of Jersey is the largest of the Channel Islands. Although the Bailiwicks of Jersey and Guernsey are often referred to collectively as 'the Channel Islands', they are not a constitutional or political unit. Jersey has a separate relationship to the British Crown from the other Crown Dependencies of Guernsey and the Isle of Man. It is not part of the United Kingdom, and has an international identity separate from that of the UK but the United Kingdom is constitutionally responsible for the defence of Jersey. Jersey is not a part of the European Union but has a special relationship with it, being treated as part of the European Community for the purposes of free trade in goods.